What a difference a day makes. Yesterday’s torrential rains cleansed the air and today we’re treated to a stunning deep blue sky. 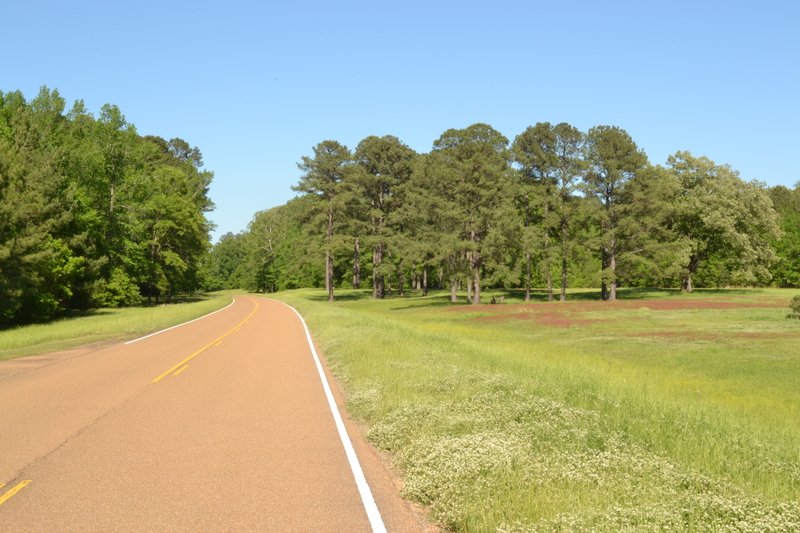 We continue our journey south along the Parkway and stop at the small community of French Camp. Here we learn that yesterday’s storm produced golf ball sized hail and tornado sirens blared on three separate occasions. Further south on the Parkway, we noted at least five spots where sawdust covered the road with fallen trees on either side of the shoulder. This was a really nasty storm. 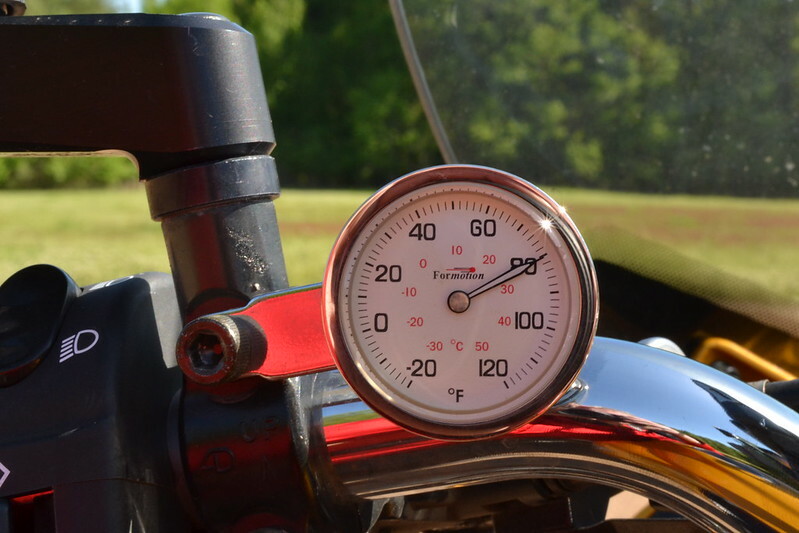 At 5:00 p.m. we exited the Parkway in Natchez, Mississippi. Founded in 1716 and the Mississippi State Capitol from 1817 to 1821, Natchez is the oldest settlement on the Mississippi River. Before the Civil War, Natchez and Vicksburg were the only cities in Mississippi to have brick buildings and paved roads. A cotton capital, incredible fortunes were made here. 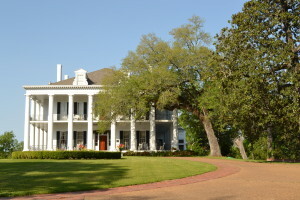 At one time over half of all American millionaires called Natchez home. After the fall of New Orleans in April 1862, Natchez surrendered without a fight and was occupied by Federal forces in 1863. 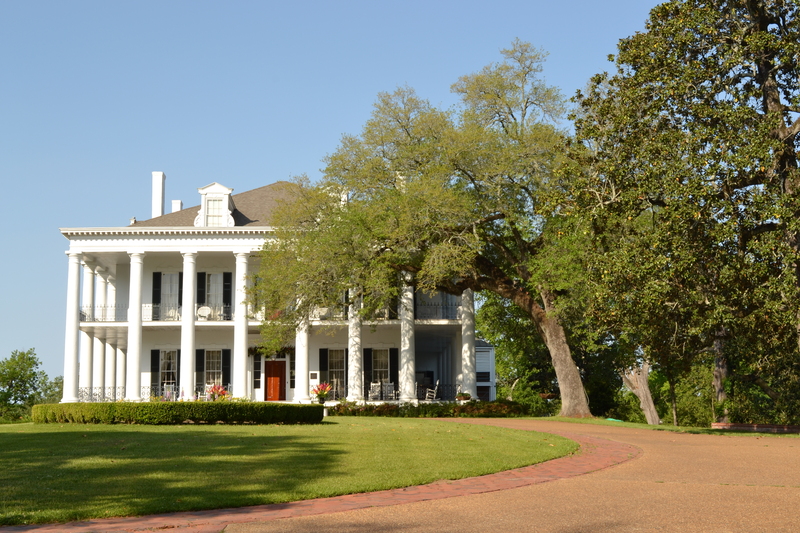 Spared from artillery bombardment, hundreds of lavish antebellum structures survived, showcasing the best example of the Old South available in Mississippi today. There are beautiful jaw dropping estates here. The more modest are now bed and breakfasts, but there are some that are just plain outrageous in their size and splendor. After checking into our hotel, we set off for Natchez’s historic downtown district. The area surrounding our hotel was configured like most developmental sprawl so prevalent in the U.S. today: a characterless stream of chain restaurants, hotels, and gas stations. But the downtown area, perched on a bluff above the Mississippi River, is inviting and ornate with a strong attention to preserve all the old buildings. One such building is Biscuits and Blues, which was our choice for dinner this evening. Focused more as a restaurant than an entertainment venue, the food was quite good. The combination BBQ chicken with ribs along with sides of baked beans and coleslaw (and a biscuit) was very tasty. The blues half of Biscuits and Blues was in the form of a man and a woman (each taking a turn) on acoustic guitar. I would classify the music as folk and the floor space awarded the musicians was about 15 square feet: not much. Once dinner was complete we exited to a lamp-lit street and decided to stroll west to the Mississippi River. Now dark, the view across the river into Louisiana was black as ink, with only the dim lights of Vidalia winking back at us. We walked the road south and down to the banks of the Mississippi where we entered Under The Hill Saloon. Historically, this establishment was ground-zero for Trace travelers as they unloaded their cargo and gathered provisions for the long journey north. A blue haze of smoke greeted us as we entered the bar. This is truly an old building, with high ceilings and wood everywhere. We opted for a couple of seats at the bar near the entrance. Soon, our bartender (I swear he was a Leprechaun) took our beer order and we scanned the crowd. Between the short, white bearded barkeep and the gaggle of dubious looking customers, it was a scene straight from The Hobbit. A band was scheduled to start and we were being asked to toss a cover charge into the pot if we were going to stay. I didn’t mind the thought of hanging out and enjoying some tunes but the cloud of smoke was somewhat unbearable. So we finished our beers and headed back into the night. 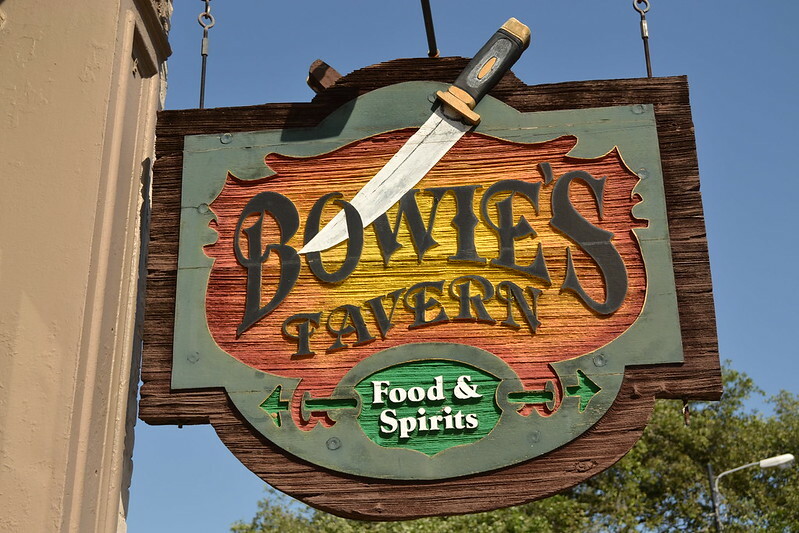 We headed back up the hill by which we came and entered a tavern right on the main street. Bowie’s Tavern relieved us of five dollars each to listen to The Wedding Crashers: a pretty good cover band that played everything from Pink Floyd to The Eagles. Twenty ounce Abita Ambers were on tap for $4, so we settled into a couple of cold ones and watched the young, lively crowd dance to the tunes.